"AllThingsValued" is the most effective performance management tool I've come across in over 30 years of business experience. I'm more inclined to call it a performance enhancement tool. ATV allows me to measure agent contribution without bias or subjectivity regardless of the number of team leaders. We have found the program invaluable for determining promotions, bonus actions, and annual merit. The icing on the cake is agent acceptance. 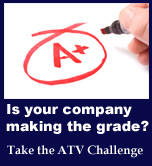 ATV is a primary tool in agent motivation. Agents can track their progress so they always know where they stand in relation to their peers. I encourage Contact Centre managers who want to improve productivity, sales, quality, whatever metric you wish, to take a close look at "AllThingsValued." John Carver has created a model that motivates CSRs to focus on the right things. He has proven that CSR performance assessment can be a stress free and well understood practice. John helped us to think outside the box when it comes to CSR performance assessment. With his help we created a scorecard that’s easy to implement, easy to understand and easy to motivate CSR performance. If you manage a centre of 100+ CSRs you owe it to yourself to check out John Carver’s AllThingsValued model. You’ll see just how stress free performance assessment can be. It’s a winner!! Senior Director, Toronto Contact Centre. AllThingsValued has become the standard for measuring agent performance across our Service Centres. It provides the foundation for an objective approach to assessing agents nationally, and allows a user to massage the data, focusing on the key metrics they deem critical. Our Team Managers look to this report to assess productivity, quality and compliance, and permits data to be segregated into desired components by site, skill set and any other variable desired. With the application of this report, it has certainly assisted us in providing a valuable scorecard for management use and staff motivation. 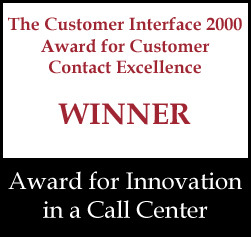 In 2003 Scotiabank’s Electronic Contact Centre engaged the services of John Carver of AllThingsValued, to assist in the development of a balanced scorecard for front line agents. John’s accomplishments in the area of performance evaluations are well documented and speak to his experience within the environment. John certainly understands that contacts centres have at their disposal an abundance of measures and he brings a practical approach to quickly identifying what metrics at the front line should be “measured” versus “coached to”. He challenged the Senior Management team to carefully consider the existing metrics, and through a series of lively discussions, gained agreement on metrics at the agent level. His approach with “AllThingsValued” is to motivate team leaders and agents to improve all aspects of their performance.